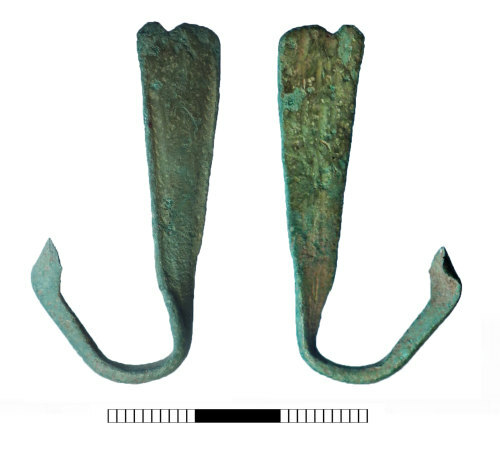 A distorted fragment of an Iron Age to Roman copper-alloy Nauheim derivative brooch. The strip form bow tapers sharply and has raised edges with punched zig zag decoration running along each. The spring, pin and most of the catchplate are missing. Unmasked grid reference accurate to a 1 metre square.